a. I didn't plan much. b. As I didn't plan, I obviously haven’t been able to fulfill anything. However, this wasn't the original idea. I wanted to do a lot but somehow got distracted and diverted off track. In the process not only did I disappoint others, but also let myself down. Below is just an introspection that I have done over the past 2-3 months in order to re-discover lost the zeal. So wish me luck for the future and read if you are in the same situation! How well has the past year been? Have we been able to live up to our own expectations? There were things we wanted to do; how many of them have we been able to complete? How different have things turned out to be? How well have we adjusted to the expected and unexpected events? How did the ups and downs, and mood swings divert us from the normal course? Most importantly, is there a way to put an end to this instability and get a hold of our own life? 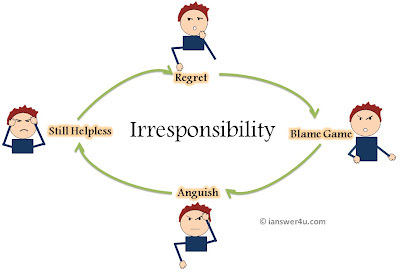 When we want to start afresh and need a brand new approach to things, we need to take full responsibility of our previous actions and realize that no one else can be held accountable for the stuff that has gone from bad to worse to disastrous. It’s normal to feel remorseful for something that you could have achieved. But sometimes, we go over the top with the reasoning and start blaming others for it. However, it is still our life that is affected and we are still helpless about it. Thus I think it’s better to hold yourself responsible for it. That way, at least we know that we have to control our life in our way. Do you know what your spark plug is? There are many things which motivate us. Like me, a lot of people find it difficult to keep our spirits high. Every now and then, we tend to cross examine the supply and result of the effort we put in and if we are disappointed with the result, we get demotivated. In order to keep ourselves upbeat, we need to find something which will help us stay on track and focused. For me, peer pressure works well. Being with people who portray responsible behavior keeps reminding me of my own set of goals. Sometimes, even negative emotions like jealousy and remorse do wonders at keeping us motivated. Recognizing such emotions, things or people will help you go a long way. When we are not able to meet deadlines or fulfill promises, even our loved ones won’t be able to trust us, which is by far the worst for our self esteem. If we can’t do something for our self, how can anyone else expect anything from us? For me, there was a time when even I couldn't trust myself for some things. But now that I have realized what is important to me and what is the best I can expect from myself, I know what level of commitment I can make and try to stick to it. Make peace with yourself. After all the remorse and feeling the worst we've ever felt, it’s time to buck up for the good things in life. Now the worst is probably over, at least for now. We are taking the right steps and are on our way to living better. Along with sweating it out, it is important to add value to our life. At the end of the day we should be satisfied with the new thing we have learnt. So go out, have fun! Get that body do something meaningful! 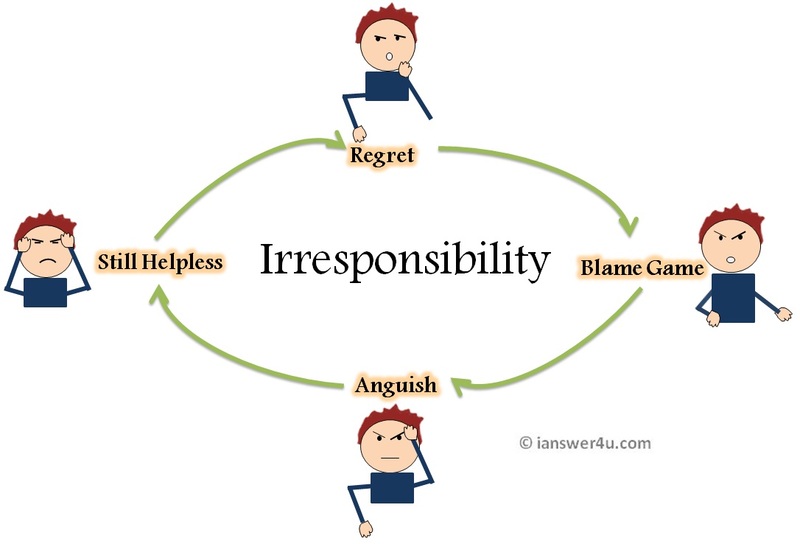 Responsibility- Yep, it’s a big word. I don’t think anyone can learn to be responsible. We already know what it takes to be accountable and dependable. We just have to get used to consistently give results and fulfill the tasks we have promised to, on time. However, it takes patience, the right state of mind, the right reasons and needless to say, hard work to commit to the task. To begin with, we should make a habit of getting things done on time. Also, getting rid of laziness would be a great idea. This would go a long way to get a hang of the first. Don’t go on and take everything on your shoulders. There will always be unfavorable factors which will drain us of our energy. But the more we succumb to such situations, the more excuses we find. The bottom line is, we can’t wait for someone or something to make us realize our responsibilities and how to live up to them. Such an external force would be wasted, as once that force has been spent; we would come to a dead stop. Once you have started and gained momentum, there will be plenty of things which will accelerate you. But that initial spark has to be YOU.